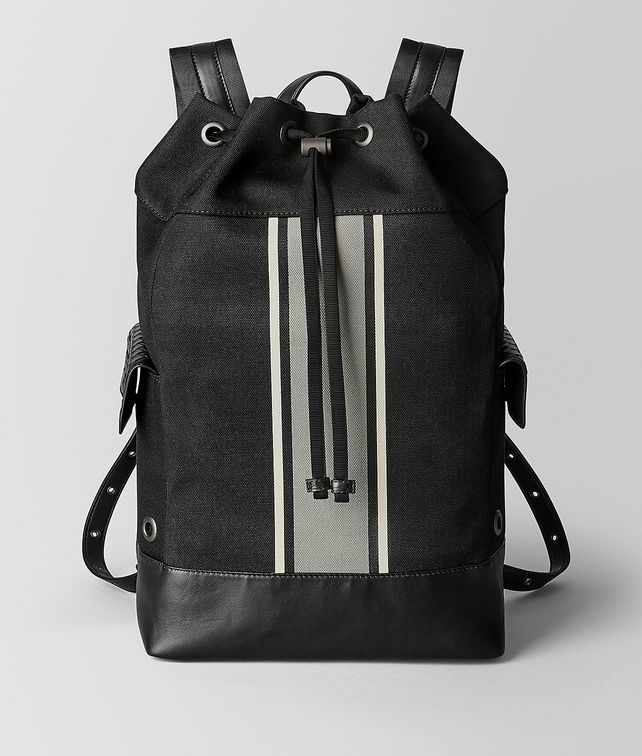 Made in canvas, this new backpack is lightweight and sporty but also suitable for autumn ensembles. With a top-loading silhouette and a drawstring closure, the backpack is inspired by outdoorsy styles. The utilitarian look is refined with intrecciato pocket flaps and a nappa leather base. The cotton-lined interior features a padded interior pocket for electronic devices and a zipped pocket. Height: 43 cm | 16.9""
Width: 28 cm | 11""
Depth: 15.5 cm | 6.1""
Handle Drop: 8 cm | 3.1""